Engineers on staff are ready to help! + Single row, ball, self-aligning. + Equipped with bonded Teflon seals. Note: These bearings should not be used as track rollers, cam follower rolls, and the like.which are self-aligning for 8° in either direction. 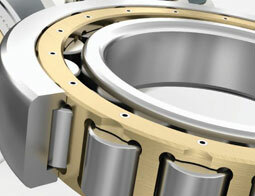 We can help design/manufacture any bearing. We stock other manufacturers: Barden, Fafrir, MPB, SKF, Kaydon, FAG, ND, KOYO, NSK, RMB, KBC, SMT, GMN, etc. Cylindrical roller bearings for aerospace applications are capable of handling high radial loads and a wide range of application speeds. Tapered roller bearings can withstand high accelerations and de-accelerations, heavy loads and a variety of temperature and environmental conditions. Spherical roller bearings are the preferred choice when operating conditions include heavy loads and difficulties with housing alignment or shaft deflection. Our engineers are the best in the industry. 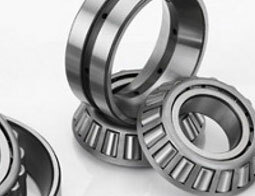 We work directly with our OEMs and Bearing Distributors. Our engineers can help you with bearing, shaft and housing tolerances as well as semiconductor applications, cryogenic applications, extreme hostile environments, and extreme delta T temperatures environments. 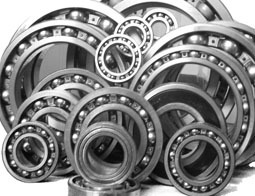 We have one of the largest bearing inventories in the U.S. We stock other manufacturer's bearings. We distribute bearings for extreme high temperature. We will ship all bearing orders the same day for less than any other advertised price. AS9100C and ISO 9001:2008 Certified -Aircraft Bearings enforces a rigorous quality control program to insure that each bearing shipped is made to the highest quality standard. Our goal is to meet and exceed application requirements and customer demands. Aircraft Bearing is one of the largest stocking distributors in the world of bearings and bushings for Aerospace applications. Our inventory and experience providing solutions to elite aerospace manufacturers is second to none. Aircraft Bearing stocks bearings for airframe control, hydraulic actuation, pump, APU, electrical actuation, guidance, avionics, engine mount, bleed-air valve, defense system, UAV, and assembly applications. In addition to bearings, Aircraft Bearing also stocks a range of bearing installation, swaging, and proof load testing tools approved for aerospace applications. We are uniquely positioned to provide OEM's and Distributors a full range of engineered solutions in addition to stocking thousands of bearing and bearing related products to cost-efficiently and consistently provide just-in-time delivery. Our quality is ranked #1 by bearing distributors and OEM's. Our Physical Vapor Deposited Coatings (PVD), Ceramic Balls and Moly/PTFE retainers give you the longest lasting best performing bearings in the industry. 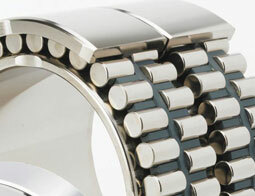 Allow us the opportunity to use our expertise to solve your toughest bearing applications. 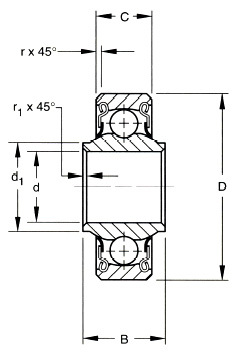 Please consider us first for your bearing needs as well as all custom bearing requirements.